In my opinion (and I followed the election fairly intensely on the internet and the T.V) propaganda and fear was a large part of the reason Labour lost, but Ed Miliband made huge mistakes. Ed Miliband is now spoken about like he was some left wing, weak leader despite the fact that at the start of the campaign he was not much more to the left than the Conservatives. As the campaign went on he started to move to the left probably in order to win votes with the anti Tory majority, but the anti Tory majority still remember Tony Blair and his oil wars, they do not look at Labour as the left wing saviors of the people instead they look at Labour as the Red Tories. “You can not win when you are as left wing as Miliband” so called political experts are claiming, they are wrong and in a way this election has proved them wrong, how? Almost every poll leading up to polling day predicted either a hung parliament, with Labour the largest party or a small Labour majority of around 19 to 23. Polls on the last few days before the country voted predicted a very slim Labour majority. With opinion polls at the end of the campaign showing Labour and the Conservatives neck and neck, the actual election result was a surprise to many in the media and in polling organisations. The apparent failure of the opinion polls to come close to predicting the actual result led to an inquiry by the Market Research Society. Following the election, most opinion polling companies changed their methodology in the belief that a ‘Shy Tory Factor‘ affected the polling. 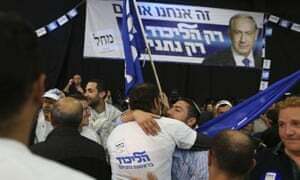 Israeli prime minister Binyamin Netanyahu’s rightwing Likud party has scored a dramatic election victory, surging past its main rival – the centre-left Zionist Union – to win the most seats in the Knesset. A series of exit polls released at the close of voting on Tuesday night had suggested the Zionist Union and its leader, Isaac Herzog, were neck and neck with Netanyahu. But by Wednesday morning official results had stretched to a decisive five-seat lead for Likud, making it almost certain that Netanyahu would serve a third consecutive term as prime minister. Herzog said he had spoken with Netanyahu to congratulate him on his election victory. “A few minutes ago I spoke with Prime Minister Benjamin Netanyahu and congratulated him on his achievement and wished him luck,” Herzog told reporters. He said his leftist Zionist Union party would continue to be an alternative to Netanyahu’s rightwing Likud. Netanyahu will still have to assemble a coalition government but his seat count means he will be in a far more commanding position as he seeks partners. The Guardian Peter Beaumont in Tel Aviv, Wednesday 18 March 2015 07.41 GMT. Stolen van held Hastings and Eastbourne ballot papers, BBC NEWS. A van containing more than 200,000 ballot papers destined for polls in East Sussex has been stolen. The papers had been printed in London and were being taken to two constituencies – Hastings and Rye and Eastbourne – ahead of voting in the general election on 7 May. Metropolitan Police officers alerted both Hastings and Eastbourne councils about the theft in London overnight. Officers found nothing to suggest the van was targeted for its contents. Police told the local authorities they believed it was a coincidence the stolen van contained ballot papers. The theft is still being investigated. The ballot papers had been printed in London and were heading for Hastings and Rye and Eastbourne – ahead of voting in the general election on 7 May. Police said it was believed the van was parked in Longbridge Road, Dagenham, at about 19:30. The theft was discovered at about 06:25. Labour had been expected to win in Hastings and Rye. Hastings & Rye – Lord Ashcroft Polls. In Hastings and Rye, the Conservative candidate Amber Rudd surprisingly won with 22,686 votes with Sarah Owen, Labour’s candidate, receiving 17,890 votes. The Independent reporting the news with no bias whatsoever! Less than 48 hours after its leader conceded defeat, Ukip supporters have taken to Twitter to vent their frustration at their failure to capture the South Thanet seat – by declaring it was all a set-up. Angry kippers have used the hashtag #Thanetrigged to accuse the establishment of all sorts of electoral shenanigans to get Nigel Farage out – citing the unusually long time for the votes to be counted and their success in the local elections as evidence. Farage lost by 2,812 votes to the Conservative candidate Craig Macinklay despite the party gaining a 13 per cent vote share across the country. But despite this failure Ukip gained overall control of Thanet council in the local election results on Friday – its first in the country. They have jumped on a tweet sent by Spectator columnist Isabel Hardman tweeted at 12:30am on election night that Farage may have lost, six hours before the votes were counted, as “proof” the result was a foregone conclusion. Demanding to know why ballot papers were allegedly “missing” for seven hours, Ukip voters vowed to expose the conspiracy and called for a by-election on social media. The conspiracy comes despite claims from the man himself that he had lost the poll. But who knows? Maybe they were just Conservative hired shills disguised as Thanet voters. 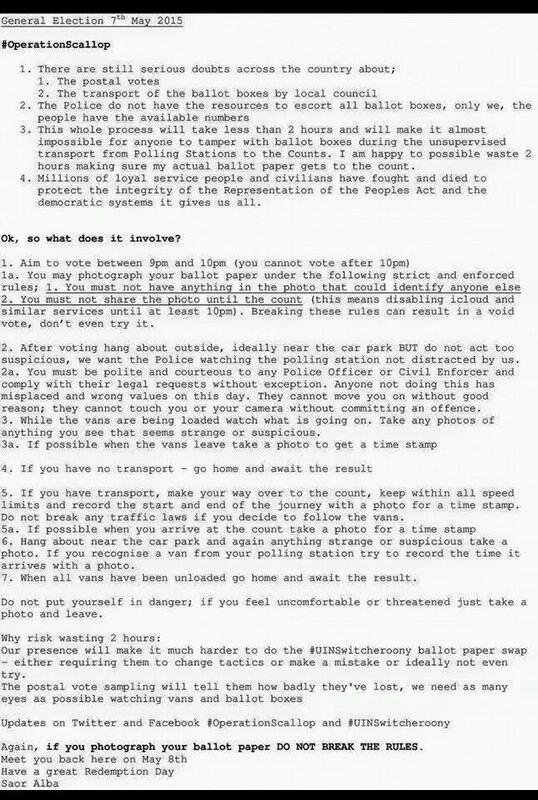 A last-minute deluge of postal votes allegedly sparked concerns about ballot rigging at Milton Keynes Council. Instead of the anticipated four or five ballot boxes, 18 brimming boxes containing more than 4,600 votes turned up at the council offices yesterday. 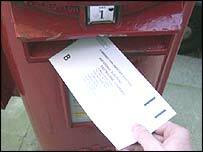 Today election organisers insisted nothing seemed amiss – and blamed postal delays caused by the bank holiday. They are, however, awaiting with interest to see how many more posted votes arrive before the 10pm deadline today, say sources. The Wednesday deluge was so unexpected that an email was sent to council staff asking for help in counting the votes. Many volunteers worked well into the night. Other sources claim helpers were told to check all papers meticulously by hand to check they were genuine. Other signs of postal vote fraud could include larger than expected numbers of papers returned from one ward or constituency. A new outbreak of voting fraud is underway this week in the London borough whose elected mayor was dismissed by a High Court judge for corruption and vote-rigging. Postal ballot papers for Thursday’s general election have been sent out to a block of flats in Tower Hamlets which has been a building site for months, council records seen by the Telegraph confirm. The property – owned by Tower Hamlets council – is completely boarded up, surrounded by hoardings and without any sign of habitation.However, letters can still be delivered there. None of the people who supposedly applied for the votes lives at the property and at least one is dead. How much proof of foul play do we need to call another election? A van carrying more than 200,000 ballot papers for next week’s parliamentary and council elections has been stolen. The papers had been printed in London and were being taken to two constituencies – Hastings and Rye, and Eastbourne – before voting in the general election on 7 May. The Metropolitan police, which are investigating the theft of the vehicle from Dagenham in east London, has informed Hastings and Eastbourne councils. Officers found nothing to suggest the white Mercedes van had been targeted for its contents or that the theft was an attempt at electoral fraud. They told the local authorities they believed it was a coincidence the stolen van contained ballot papers. The theft took place overnight. EASTBOURNE appeared to be a safe seat for the Lib Dems in Lord Ashcroft poll in September 2014. Labour had been expected to win in Hastings and Rye. Tories win two seats they were expected to lose both seats had ballot papers stolen, COINCIDENCE? Former Respect MP announces he has begun legal proceedings to have result of Bradford West election set aside. Police across the UK have been asked to investigate more than 50 allegations of electoral fraud related to Thursday’s elections in areas previously identified as vulnerable to vote-rigging, new figures show.Officers in Manchester, Bradford, London and Birmingham have begun inquiries after receiving complaints about “ghost” voters, false statements by candidates and multiple attempts to vote by a single person.The inquiries have emerged after the Guardian contacted police forces covering 16 areas that the elections watchdog has identified as being vulnerable to electoral fraud, particularly around the use of postal votes. As well as Birmingham and Bradford, they include Blackburn with Darwen, Burnley, Calderdale, Coventry, Derby, Hyndburn, Kirklees, Oldham, Pendle, Peterborough, Slough, Tower Hamlets, Walsall and Woking. West Yorkshire police, whose officers serve Bradford where former councillors have been imprisoned for electoral fraud, said they had received 21 allegations of electoral irregularities. On Thursday, there were 14 investigations across Greater London, according to a Metropolitan police spokesman. These included the arrest of two prospective councillors in Tower Hamlets, east London, and Enfield, north London, for false declarations on election papers. Police have also been asked to investigate allegations of intimidation and tampering with postal votes in the east London borough. West Midlands police, which oversees parts of Birmingham and Walsall, said that they had received 11 allegations of electoral fraud. In Greater Manchester, police have launched five inquiries – three inquiries into the eligibility of candidates to stand in the elections, one into a claim that a person had voted twice and another into claims of a false statement on an election leaflet, a spokesman said. Ukip have sought to exploit electoral fraud allegations in Oldham, which is overseen by Greater Manchester police, by lampooning postal vote fraud in an election leaflet. The document, distributed by a former Labour councillor, claimed that it was easy for certain councillors to win because they can count on “the white folk not voting”. A spokesman for Lancashire police, which covers towns including Burnley, Darwen and Hyndburn, where there have been previous allegations of fraud, said they would only release information about electoral fraud if an application was made under the Freedom of Information Act – a process that can take weeks. Thames Valley police said they had received eight allegations of minor misconduct relating to issues such as printing irregularities, four of which have been resolved, but had not received any claims of electoral fraud. Surrey, Derbyshire and Cambridgeshire police have not yet released any figures. An Electoral Commission report in January identified the 16 boroughs and cities as vulnerable to electoral fraud and called for increased police involvement in elections. At one point the commission considered dropping postal voting in these areas to combat fraud. But, following a public consultation, it decided this would unfairly hit many ordinary people who needed to vote by post. Instead, it has urged the police to patrol polling stations during elections in the 16 named areas and dedicate more resources to investigating electoral-fraud allegations, which critics complain have been a low priority for the police. Hackney Town Hall, of Mare Street. Hackney Council has been forced to admit there has been a problem issuing thousands of voters with ballot papers – many of whom may have lost out on their chance to vote tomorrow. Town Hall last week categorically denied there was a backlog in issuing postal vote papers when the Gazette reported how a student had lost her vote because it failed to arrive before she travelled abroad, despite applying two months earlier. But after more complaints flooded in, the council admitted on Friday that as many as 3,000 people were affected by a delay in sending out their postal votes after the cut-off date of April 22, and had promised to courier the final 270 out on Friday. However, on Monday many people were still complaining that they had still not got their ballot papers through. Residents new to the borough are also affected, like Amanda Fitzalan Howard who finds it “scandalous” she has lost her vote. She received a letter in March stating that her application was on track, but discovered this week she is not on the electoral register. The council blamed the high number of postal vote applications – which stands at 28,000 – and the government’s new Individual Electoral Registration which meant that they had to cross-check every application with the Department for Work and Pensions (DWP), via a new online registration service. A spokesman said: “In Hackney we had a very large number of people whose details didn’t match – and also people voting from their address for the first time, which meant they needed to register under IER. Ten years on from the postal vote fraud scandal which saw Birmingham’s political system likened to a ‘banana republic’ an MP says he is sure there is still election fraud today. The city council election on June 10, 2004 was perhaps the darkest day in Birmingham’s political history as it marred by vote rigging on an industrial scale which left trust in the electoral system shattered. 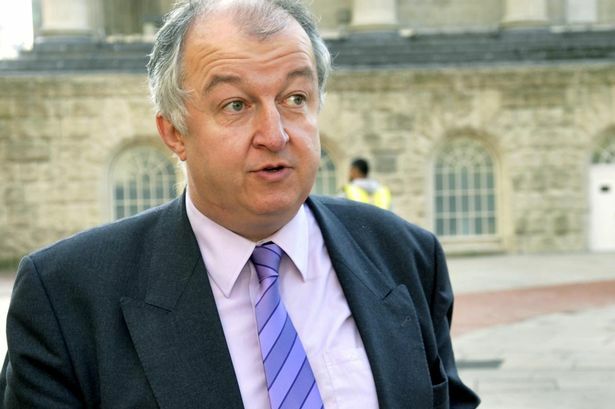 Yardley Lib Dem MP John Hemming, together with his colleague barrister Ayoub Khan, brought the resulting postal vote fraud court cases which a year later lead to six inner-city Labour councillors being sacked and elections in Aston and Bordesley Green re-run. High Court Judge Richard Mawrey QC, presiding over the election court, famously declared the fraud “would disgrace a banana republic,” after his election court found there was a campaign by Labour Party activists to forge, steal, and alter thousands of postal votes. The extent of fraud was uncovered when police found candidates and supporters handling unsealed postal ballots in a deserted warehouse in Birch Road East, Aston during a late-night raid two days before the election. Problems also became apparent when the number of postal votes rocketed from 28,000 in 2003 to 70,000 in 2004 – and witnesses saw people delivering bags full of ballot papers to polling stations and counts. Although the regulations were tightened in the light of the case, particularly over candidates and supporters farming votes from residents, there are sill concerns over fraud. Looking back, Mr Hemming said that while it is unlikely that fraud on that industrial scale is taking place, it does still happen in Birmingham. He is convinced there is a problem with personation, where somebody goes to a polling station and gives the name of someone else, usually a known non-voter, and takes their ballot. He argues that only by demanding a photo identification, as is required in Northern Ireland, that this problem could be eliminated. He also believes there is some postal vote fraud, and during the last election campaign published a photo on his website of a single post box stuffed with ballots. 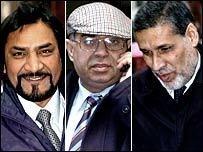 Of the six Labour councillors sacked in 2005, five, Shah Jahan, Shafaq Ahmed, Ayaz Khan, Mohammed Nazrul Islam and Mohammed Amin Kazi, have never returned to front line politics after serving their suspensions. Only Muhammed Afzal successfully challenged the findings against him at the Court of Appeal. He returned to the council in 2007 and is now chairman of human resources. 10 May 2015, Protests already. Fifteen people, including a 16-year-old boy, were arrested following clashes with police during an anti-austerity protest close to Downing Street. Met Police said four police officers and a police staff member were injured. Met Police said of the 15 arrested, 14 people been bailed pending further inquiries including a full review of CCTV footage and a 24-year-old man remains in custody after being arrested on suspicion of assault on police. THE SNP landslide at the General Election is evidence that the 2014 independence referendum was rigged, according to Russia’s top elections official. Vladimir Churov, who heads the Central Electoral Commission, told the official Tass news agency that last September’s poll – at which there were Russian monitors – should now be investigated. Mr Churov noted how the election results showed “the SNP, which fought for a Yes in the referendum, won far more votes now than it did then”. He went on: “We doubted that the referendum had been organised cleanly and we had observers there”. He added that he felt the scale of the SNP’s success in Scotland last week “gives further cause to examine the referendum”. Mr Churov said there had been no major changes or upheavals in the time between last September and last week’s election, saying: “I see no reason for such a shift in opinion”. The mayor of a diverse London borough was stripped of his office after a judge found he had committed multiple electoral fraud and corruption offences in a political career defined by playing the “race card” to secure power. Lutfur Rahman could face a police investigation after his victory last May to become the directly-elected mayor of Tower Hamlets was declared void by a judge, who ruled he had “cynically perverted” the solidarity of Bangladeshi voters and made repeated claims of racism to silence critics. Scotland Yard said last night senior officers were considering whether further enquiries should take place into Mr Rahman, who was told to immediately vacate his position and barred from standing in a fresh election ordered for the East End borough. The dismissal of the 49-year-old represented vindication for four voters who had brought a rare petition to have an election overturned and faced vilification as well as a ruinous legal bill if they had lost. Mr Rahman, a former Labour councillor who formed his own party, Tower Hamlets First (THF), to stand as mayor, was instead ordered to immediately pay £250,000 towards the £1m cost of the ten-week inquiry at London’s High Court. In a withering judgment, Richard Mawrey QC, sitting as an Election Commissioner, said Mr Rahman had “driven a coach and horses through election law – and didn’t care”. The judge said the former mayor, who was elected to a second term last year, had focused his electoral machine on the borough’s large Bangladeshi community – effectively bribing voters by targeting them with generous grants and using the influence of a senior cleric to tell Muslims it was their duty to vote for him. Lately we’ve grown so used to stunning economic news that there’s a danger of seeing it as nothing out of the ordinary. But let’s not forget it’s thanks to sound policies that two reports yesterday predicted robust growth in the second quarter, putting us on course for a world-beating performance over the year. At this 11th hour, the Mail makes one final plea to Ukip sympathisers: don’t let your vote help Ed Miliband wreck the country we all love. TODAY The Sun exposes Ed Miliband’s lies and asks YOU to vote Tory to insure that his wreckless socialism does not put a halt to Britain’s recovery. Unless you are in Scotland! STATS LIKE THIS SHOW THE WHOLE SYSTEM IS RIGGED. When filling our forms in how many people used pencil? I did as that is what was provided by the polling office, I thought to myself at the time why use the one and only thing that is erasable? I am not the only one to think this. In 2012 a spokesperson from the Irish Department of the Environment told TheJournal.ie that pencils are “more sustainable and, above all, more reliable. In the event of the ballot papers getting wet before the count, pencil marks will remain. Pen marks may not.” But pencils can be erased therefore they are easier to manipulate whereas pens are impossible to remove and hide, I believe protecting the ballots from manipulation is more important than protecting them from water and I am also pretty sure most cheap pens would remain even if they do get wet. 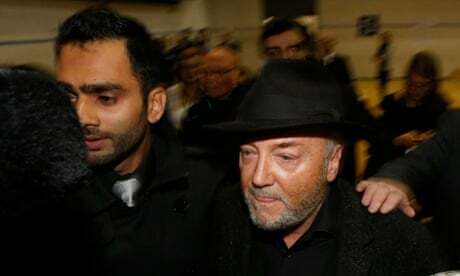 Mr Rahman, a solicitor specialising in family law, had emerged from the vexed politics of Tower Hamlets, where George Galloway’s Respect party scored a number of notable victories over Labour in the wake of the Iraq War, as an urbane and independent mayor after falling out with Labour himself in 2010. But his critics complained that rather than uniting one of Britain’s most diverse boroughs, Mr Rahman had surrounded himself with a “clique” of THF councillors. Along with his allies, Mr Rahman was accused of securing a second term with the help of measures including the doctoring of postal ballots and intimidatory tactics on election day which left one young woman in tears. Mr Mawrey said Mr Rahman, whom he described an “evasive” witness, was a man who “perceives racism everywhere” and along with his lieutenants had repeatedly used accusations of racial prejudice or Islamophobia as a stock response to criticism. The judge found that the former mayor had run a “ruthless and dishonest” campaign to portray his Labour rival in 2014, John Biggs, as a racist and also worked “hand in glove” with the head of the borough’s council of mosques to ensure that Muslims were told they had a duty vote for Mr Rahman. A key tool in Mr Rahman’s electoral armoury was “bribery by grant”, under which he and a small number of aides took control of deciding the sums to be donated to community groups, the judge found. Mr Mawrey said grants were substantially increased for some groups in defiance of recommendations by Tower Hamlets’ officials and other grants, such as that to the Alzheimer’s Society, slashed to free up funds for previously ineligible recipients. In one case, grants totalling £100,000 were handed out to ten Bangladeshi or other Muslim groups for lunch clubs when none had even applied for funding. The controversial mayor lost his powers over grants last year when Communities Secretary Eric Pickles sent in commissioners to take over a number of functions in Tower Hamlets council. Mr Pickles said yesterday’s judgment was a “vindication” of that decision. A new ballot may be held as early as June. One of Mr Rahman’s closest aides, Alibor Choudhury, was also found guilty of corruption and illegal practices. Mr Mawrey said the case proved the need for those in authority to challenge wrongdoing even when there were concerns it could lead to counter-allegations of racism. “The evidence laid before this court, limited though it necessarily was to the issues raised in the petition, has disclosed an alarming state of affairs in Tower Hamlets. This is not the consequence of the racial and religious mix of the population, nor is it linked to any ascertainable pattern of social or other deprivation. It is the result of the ruthless ambition of one man. “The real losers in this case are the citizens of Tower Hamlets and, in particular, the Bangladeshi community. Their natural and laudable sense of solidarity has been cynically perverted into a sense of isolation and victimhood, and their devotion to their religion has been manipulated – all for the aggrandisement of Mr Rahman. 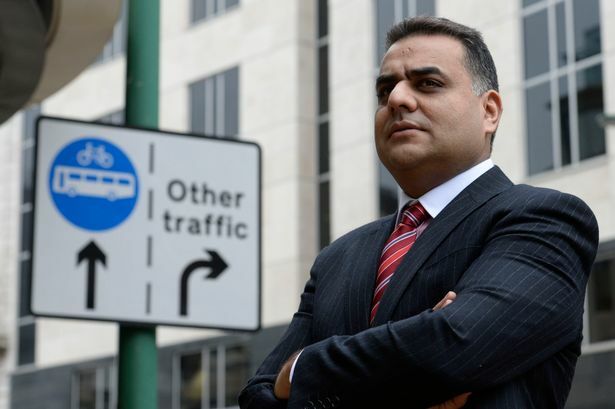 The result has been to alienate them from the other communities in the borough and to create resentment… Mr Rahman and Mr Choudhury… spent a great deal of time accusing their opponents, especially Mr Biggs, of ‘dividing the community’ but, if anyone was ‘dividing the community’, it was they. “The Bangladeshi community might have thought itself fortunate to have been the recipient of the mayor’s lavish spending but in the end the benefits were small and temporary and the ill effects long-lasting. It was fool’s gold. “Central government has already had to intervene once, and, on 4 November 2014, the Secretary of State, Mr Eric Pickles, announced the appointment of commissioners to take over a number of functions of the mayor and council, particularly in relation to grants. It is obviously not for this court to… recommend any further course of action but it seems likely that the governance of this borough will have to be examined in the not too distant future. “On past form, it appears inevitable that Mr Rahman will denounce this judgment as yet another example of the racism and Islamophobia that have hounded him throughout his political life. It is nothing of the sort. Mr Rahman has made a successful career by ignoring or flouting the law (as this petition demonstrates) and has relied on silencing his critics by accusations of racism and Islamophobia. But his critics have not been silenced and neither has this court. #ThanetRigged Is there any where else where UKIP’s MP candidate got half the votes as the council candidates? Police have rejected conspiracy theorist claims that the election in South Thanet was rigged to stop Nigel Farage becoming an MP. Tory candidate Craig Mackinlay won the seat in Thursday’s election, beating the Ukip leader by 2,800 votes. The margin of the Tory win sparked claims that the result had been fixed, but Kent Police today said that ‘initial inquiries’ suggest there is ‘no evidence’ of electoral fraud. Some have also questioned the high turn out of Thanet South. THE SCOTS SEEN IT COMING! A BBC ARTICLE EXPOSING ELECTORAL FRAUD FROM 2005. When talking about electoral fraud the postal vote is usually mentioned too! A judge investigating vote-rigging in Birmingham’s local elections has ruled there was widespread fraud and has ordered new elections.Election Commissioner Richard Mawrey QC upheld allegations of postal fraud relating to six seats won by Labour in the ballot of 10 June last year. The results have been declared void and the polls in two wards must be rerun. “The system is wide open to fraud and any would-be political fraudster knows that,” Judge Mawrey said. Judge Mawrey said evidence of “massive, systematic and organised fraud” in the campaign had made a mockery of the election and ruled that not less than 1,500 votes had been cast fraudulently in the city. The deputy high court judge said the system was “hopelessly insecure” and expressed regret that recent warnings about the failings had been dismissed by the government as “scaremongering”. Mr Mawrey had heard petitions lodged against six Labour councillors, who all strenuously deny that they abused the postal ballot system. The first petition was brought by the People’s Justice Party (PJP) against three representatives of the Bordesley Green ward, Shafaq Ahmed, Shah Jahan and Ayaz Khan. They walked out of last month’s hearing on the first day after Judge Mawrey refused an application for an adjournment to allow them further time to prepare their case. The second petition was raised by Liberal Democrat supporters against three Aston representatives, Mohammed Islam, Muhammed Afzal and Mohammed Kazi. During the hearings, which were held at the Birmingham and Midland Institute and lasted four weeks, Judge Mawrey heard how the trio were caught operating a “vote-rigging factory”. The police described how they found Mr Islam, Mr Afzal and Mr Kazi handling unsealed postal ballots in a deserted warehouse in the city. Solicitor Chaman Salhan, who represents two of the councillors, said the men had not been given enough time to prepare their defence. “They are victims of circumstance – in effect we have had a criminal trial under civil procedures,” Mr Salhan said. 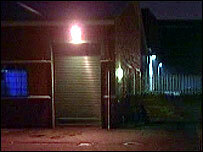 West Midlands Police told BBC News that they were currently not pursuing a criminal inquiry. Speaking outside court, a spokesman for the People’s Justice Party called for postal voting to be outlawed at the general election. “The commissioner has confirmed our fear that there is every likelihood that the forthcoming general election will be blighted by postal vote fraud,” he said. The Electoral Reform Society said urgent action was needed to protect and maintain confidence in the voting system. PREVIOUS POST Previous post: PEOPLE REACTING TO THE GENERAL ELECTION RESULTS. NEXT POST Next post: HARRY PATCH QUOTES.